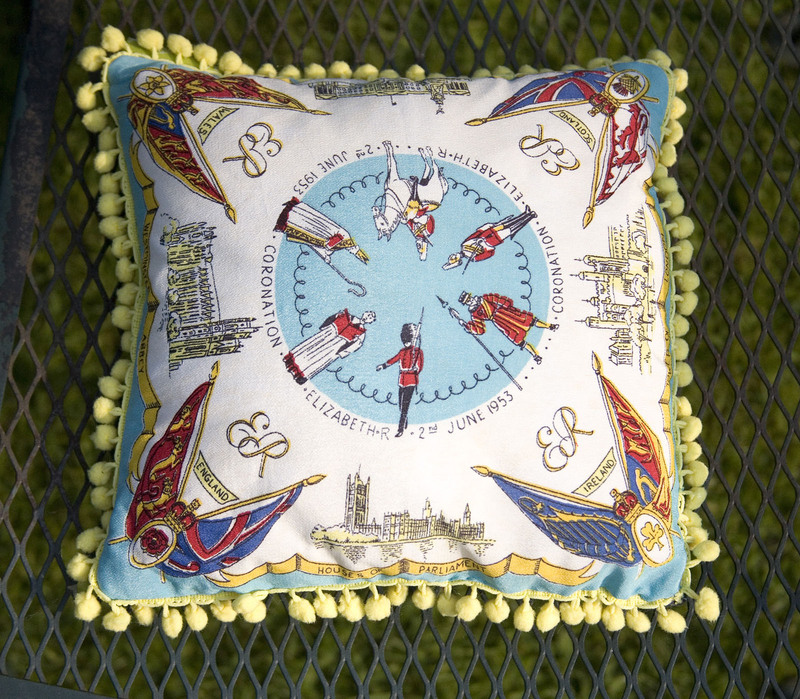 Inspired by the royal wedding, I’ve been making some unique vintage cushions using souvenir handkerchiefs from the coronation in 1953. 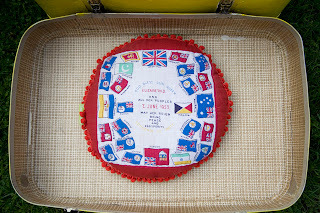 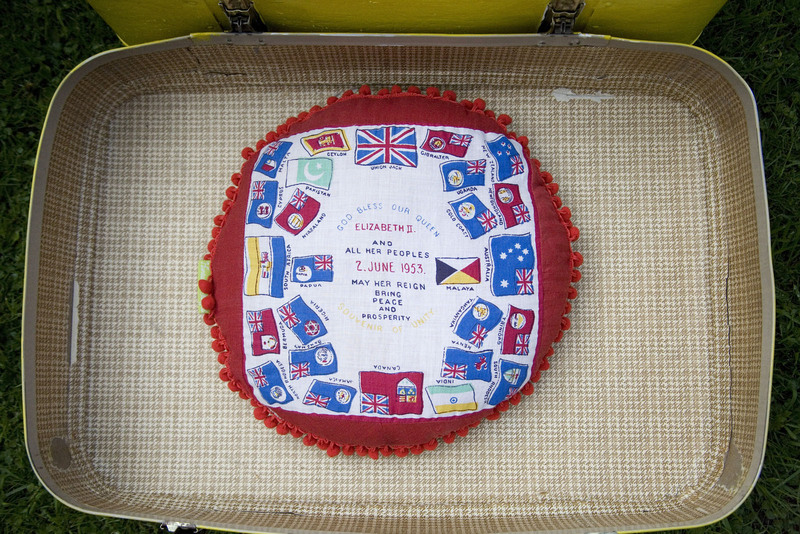 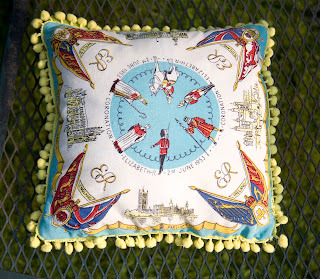 This is a one-off unique vintage cushion featuring a silk crepe hanky with a Coldstream Guard, Beefeater and lovely illustrations of important London landmarks such as the Tower of London, Buckingham Palace and Westminster Abbey with flag standards in each corner. 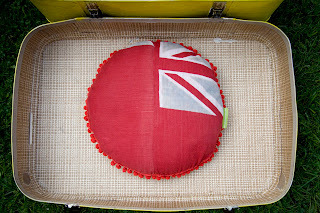 Really pleased to have found you….like your vintage quirky cushions ! 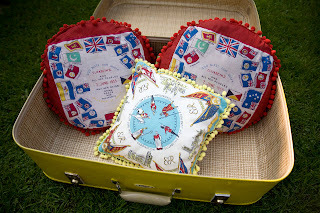 I am very much a hoarder and recycler/upcycler for my bags…..only hope you are not quite like me, DROWNING in lovely ‘STUFF’.